Rigid flat steel suspension bar for heavy loads. 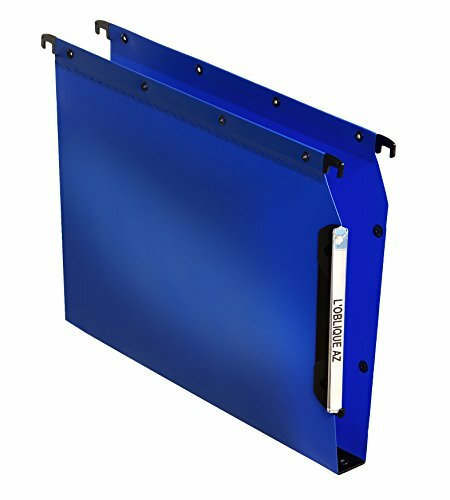 Metal rivets for linking files to prevent misfiling. Made from heavy-duty polypropylene. Moulded plastic tips for easy sliding on rails. Extra long label holder with magnifying effect. Ding on rails. Extra long label holder with magnifying effect. 30mm base. Foolscap. Blue. Packed 25. View More In Expanding Files. If you have any questions about this product by Elba, contact us by completing and submitting the form below. If you are looking for a specif part number, please include it with your message.